I recently signed up to a new Audible.com gold account which allowed me to buy expensive audiobooks cheaply, which justified me picking up the two massively tomes ‘Fountainhead’ and ‘Atlas Shrugged’ by Ayn Rand. The two books, which I bought unabridged, totalled 80 hours of reading time which has kept me busy for the last couple of months. 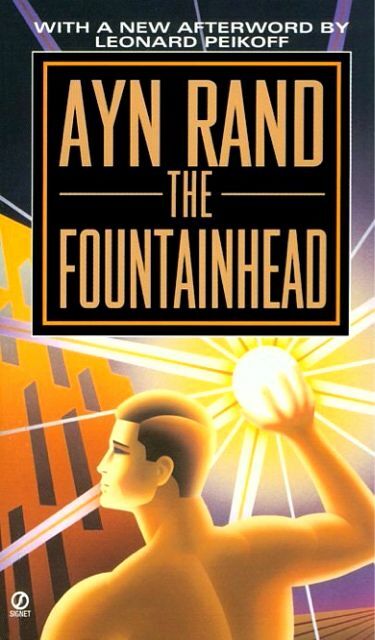 I read Fountainhead first, followed by Atlas. I really enjoyed both, with the caveat mentioned below*. Rand uses characters which represent either extreme of ‘supermen’ like Howard Roark in Fountainhead and Hank Reardon in Atlas Shrugged, or the ‘seconds’ (people that only survive by leaching off and controlling others) like Peter Keating/James Taggart. The main protagonist is female in both cases, and struggles with an increasing self awareness of where they fit in this polarized world. Also common to both works is the love quadrangle where this female protagonist finally decides on the most ‘super’ of supermen. I am sure I am forgetting a few, but I have to say I agree with her point of view for the most part. She is a little too radical when it comes to the line between where government should and should not get involved. For example, health care would definitely fall into the private domain, where I -as a Canadian- believe in universal health care. There is a big difference between someone who chooses to live off of others vs. someone who has dependence thrust upon them by bad health or accident. I took the time to read Ayn Rand because I always like to find a balance in what I am reading. After reading Naomi Klein’s shock doctrine, I needed something pro-capitalist, and this hit the spot. As usual my opinion is in the grey zone somewhere in between. As a final note, it is very likely that Ayn Rand’s work will soon experience a Renaissance, with Angelina Jolie slated to play the role of Dagny Taggart (good choice) in a film adaptation of Atlas Shrugged. It is currently slated for 2009, but turmoil over the director of the project may change this significantly. The only way I can get through books anymore is to buy audiobooks which I can listen to on my iPhone when I am driving around or on the treadmill. 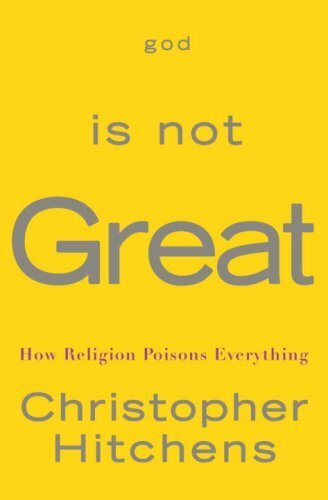 One of my more recent purchases was “God is Not Great: How Religion Poisons Everything” by Christopher Hitchens. My first impression of the book was tainted by the voice of the author, who chose to narrate the audiobook. He has the “pompous british professor” voice down to a ‘T’, which made me feel like I was going to get preached to for the next 8.5 hours (the approximate length of the audiobook). After about 1/2 hour of listening, I became convinced that the life experience and background research that the author put into the book was worth putting up with the pomposity! One of the things I liked best about the book was the even hand that the author took with the world’s major religions. He did not choose to deride any one in particular, but rather picked examples from many faiths to prove his points about how religions have a negative impact on society. He doesn’t even spare Buddhism, with several negative points made at the expense of the Dalai Lama. Counting Salman Rushdie as one of his friends, and occasional house guest, I am sure Christopher Hitchens had no expectations of making new friends with such a book, in fact, I respect him greatly for the guts it took to provide such rational argument considering the potential personal repercussions (he has already received several death threats). Whatever your religious leanings, I think this book is a must have in your collection if you spend any time contemplating religion!